W2MEDIA.CA | On today’s broadcast of Media Mornings on Vancouver Co-op Radio 100.5 fm, we speak with renowned, award-winning Middle East correspondent Robert Fisk (The Independent, UK), blogger Nora Loreto (rabble.ca) on the inaugural People’s Social Forum in Ottawa, and Leena Minifie on Idle No More and social media. 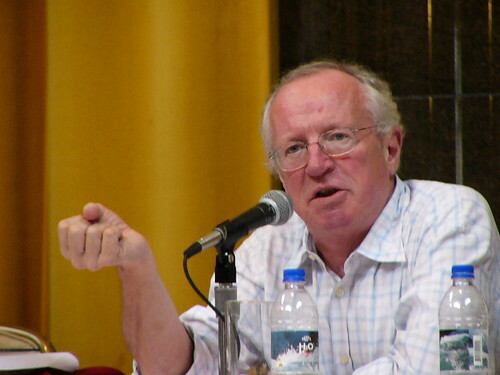 Interview with Robert Fisk (The Independent, UK), a multiple award-winning journalist on the Middle East, based in Beirut, Lebanon. Fisk holds more British and international journalism awards than any other foreign correspondent, including the Orwell Prize, the Jacob’s Award, and the $350,000 Lannan Cultural Freedom Prize. He has been voted International Journalist of the Year seven times and is author of the international bestselling book, The Great War for Civilisation: The Conquest of the Middle East. Interview with Nora Loreto (rabble.ca), a mixed blood Gitxaala/British film and video artist, about the founding meeting of the People’s Social Forum in Ottawa last weekend. Interview with Leena Minifie on where Idle No More is headed and its explosion via online social media.